Thank you to all of the generous and inspiring people who attended the 34th Annual Volunteer Spirit Awards presented by The Volunteer Center of The United Way today at the Doubltree Hilton Hotel in Tarrytown. Nearly 600 people came out to show their support to the honorees. Big News! 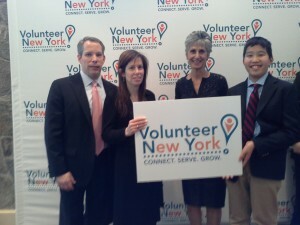 The new name of The Volunteer Center is “Volunteer New York!” Catchy, right? 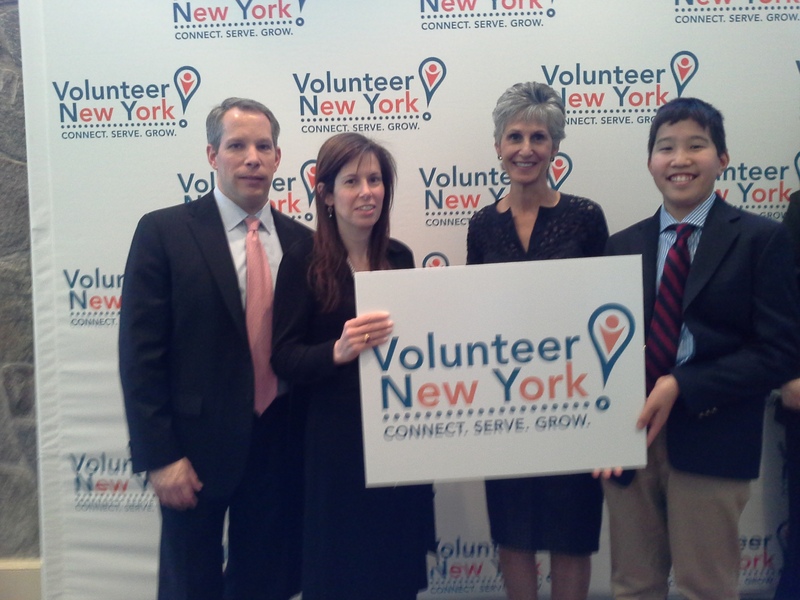 Thank you to Alisa Kesten, Executive Director of “Volunteer New York,” for making this such a meaningful event. She is the beautiful lady in the picture with me and my parents. Thank you to my guests today for coming out this morning, Mr. Brian Whiting, President and CEO of the USO. All of the proceeds of Stars for Cars go to the USO because no one does “volunteering” better than our “Blue and Gold Star” Military Families. Please never forget that. Thank you to Mayor Noam Bramson for sitting with us and for caring about our AMAZING city and our community. Thank you to Principal John Barnes of Albert Leonard Middle School for taking time out of his very busy schedule to learn more about the many volunteers and volunteer opportunities in our area. ALMS does so much to encourage volunteerism. It’s around me all the time there from the Builders Club to Student Council to the PTA. Thank you to Tara Fishler of Customized Training Solutions for agreeing to be on the Benefit Committee and for sitting next to me today. Thank you to Patrick Holt of Fordham University for being a good friend to our family for many years, for volunteering and teaching his children to volunteer, and for being our guest this morning. Thank you to Mrs. Susan Russon for being our guest, being a great volunteer for various organizations and at her church Holy Trinity Greek Orthodox Church in New Rochelle. She is the mother of my friends George and Harry. Thank you to Laura Matthews for being on the Benefit Committee. She has known my parents since college. She has the “Volunteer Spirit” in her community of Long Beach, Long Island. Thank you to Mr. Frank Micelli of Minuteman Press for attending the event. Stars for Cars decals have always been made at his store right in New Rochelle. He is also another outstanding volunteer who does so much for our community. Thank you to Cousin Greg Varian. He is another fantastic volunteer. He is the former President of the New Rochelle Library. Please visit the library! Audrey Kurlan-Marcy came all the way from MA to see this inspiring event. I can barely keep track of all of the organizations she either founded or has dedicated herself to from PINK Revolution Breast Cancer Alliance, Share Our Strength’s Taste of the Nation, Rachel’s Table, the American Cancer Society’s Hope Lodge, Pancreatic Alliance, amongst others. She passed her enthusiasm for helping others to my Mother (she was her babysitter when she was a tween) and then my Mom (and Dad) passed it to me. There have been so many adult “Volunteer Role Models” in my family and community and some of them were kind enough to be here with me today. Remember, it starts with a “Yes” and it starts with you!